Renting out commercial premises can be a minefield for the landlords. We know that no one likes paperwork, but getting your commercial lease right from the outset can help you in the long run. Ready to put your commercial property for lease in the hands of a new tenant? Follow these 4 vital rules for a happy and profitable relationship with your tenant. Think you’ve found the perfect tenant? It pays to perform a tenancy check from the landlord’s perspective. Before you have them sign the commercial lease, you need to know their financial position, assess their previous tenancy history, and ask for reviews from previous landlords. If the tenant is from a limited company, landlords need to check who the directors are, if there is a need for a guarantor and who can step in should the tenant’s financial position be weaker than desired. So you’ve performed the background check, but your ideal tenant’s financial situation isn’t on par with your expectations. There’s no potential guarantor either. If you have any concerns about the financial situation of a prospective tenant and no guarantor is available, consider a higher security deposit. A security deposit or bond is an extra amount the tenant pays to the landlord at the beginning of the lease to provide for any monies owing to the landlord by way of unpaid rent and or underperformance of the tenant’s obligations under the lease. If there’s one rule you should follow, it’s this: don’t do the commercial lease paperwork yourself. There are many landlords who enter tenancy arrangements without having a formal commercial lease agreement drawn up. As a landlord, you need to understand that a well-drafted lease saves a lot of money and also protects your interests in the long run. Properly written leases drafted by a lawyer will provide certainty when it comes to rent, repairs, termination, use of premises and so on. A good lawyer will know their way around the law, so trust them to draft a commercial lease that’s in your favour, and is legally binding too. It pays to start your relationship with your tenant on the right foot with honesty and transparency. So be clear about your long term plans for your commercial property. This doesn’t mean that you need to share your revenue goals with them, but you do need to let them about the term of their lease. If you want the tenants to leave the premises before the term ends, it has to be clearly mentioned in their lease. Make sure you seek legal advice before finalising the lease so that everything is stated clearly and correctly. If you fail to do so, the tenant may have the right to extend the lease to the statutory period of five years. Along with the above mentioned points, we have one final word of advice that’s not related to your lease, but imperative nonetheless. Make sure you track rental payments throughout the lease term. If there are any late payments, it could be a warning sign for trouble ahead. If this does happen, make sure you don’t let the rent arrears become too large, and get some professional advice before any problems arise. 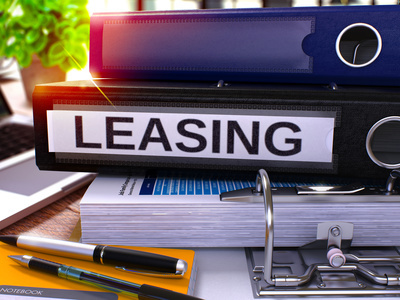 Getting the terms of your commercial lease right can be easier than you think. Let us help you with your commercial property for lease. HKC Property Consultants’ team of professional, personable and experienced commercial real estate agents know the ‘ins and outs’ of commercial leases. It’s just one of the things we do best as boutique commercial real estate agents. Why not get in touch? 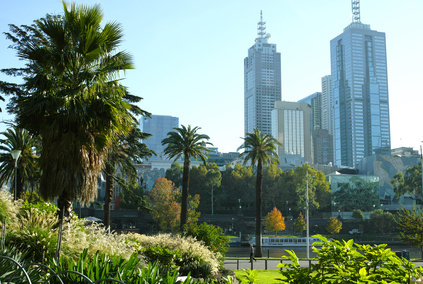 Our team of directors, with their unique knowledge of commercial real estate in the Melbourne area, can help you maximise your return for a more profitable investment portfolio.